Like or hate the content, you gotta hand it to this “retiring fashionista” for snappy advertising copy. It certainly gave me a chuckle! that’s my block. 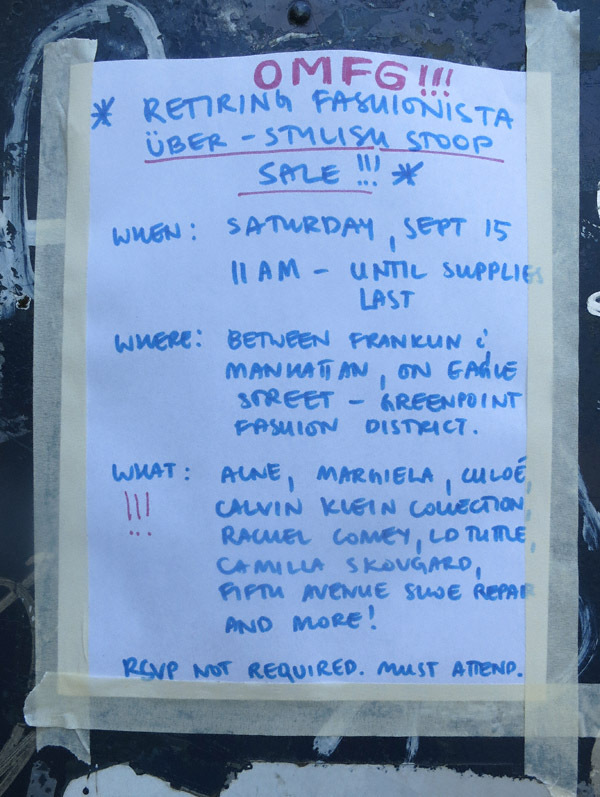 i’m skeptical that we have any fashionista, retiring or otherwise, on our block. i will check it and report back.